Sometimes it can seem as if there are not enough hours in a day to get everything you need to get done. Mobile applications can make your life a little more organized and easy, maybe even allowing you a couple hours a day to do something fun. 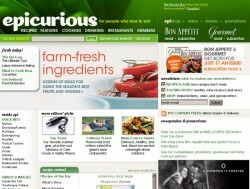 Epicurious Recipes & Shopping List is a great mobile app that can make cooking and baking a breeze. There is a wide variety of recipes including seasonal and for special occasions. Once you have decided on what recipe you are going to make an instant shopping list function comes up. There are also customized searches available. This application will have you looking forward to cooking, rather than dreading it. It doesn’t matter if you are a beginner in the kitchen or a master, there is something for everyone. This application is free and available for Android, iPhone, iPod Touch, iPad and BlackBerry. 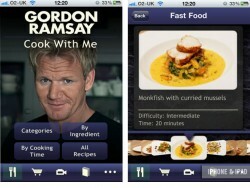 Gordon Ramsay Cook With Me HD is another lifestyle application that will get you cooking. This application gives you access to over 50 of Ramsay’s creations. The recipes may at first seem a little complicated, but Ramsay gives a video tutorial for each making following along easy. The recipes are divided into six different sections: Healthy Appetite, Midweek Meals, Weekend Specials, Fast Food, Take Away and Classics. Once you have chosen a recipe there will be pages for ingredients, video tutorials and equipment required. 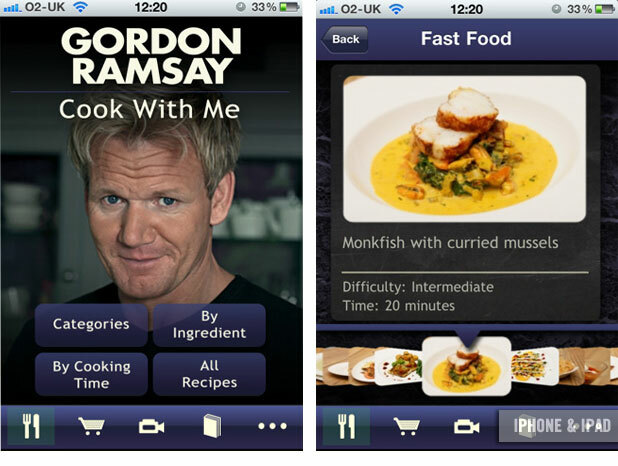 This application makes cooking fun and cheeky thanks to an interactive Ramsay. This application was developed by One Potato Two Potato. It costs $9.99 and is available for iPhone, iPad and iPod Touch. AroundMe is a handy navigational application that allows you to find all the local amenities around your current position. 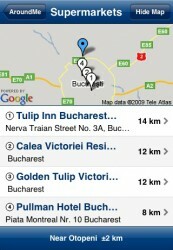 If you are looking for restaurants, shopping centers or a movie theatre this app will help you on your way. This application will tell you how far away your destination is, how to get there and will remember it for the future. AroundMe was developed by Tweakersoft and is free. This application works with iPhone, iPad, iPod Touch, and Android. PocketMoney is a great application that will have help you to manage your finances by tracking where your money is being spent and identifying areas for savings. 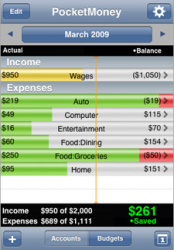 This application features a budget bar panel which gives you a customizable visualization of your spending by certain categories. PocketMoney also helps you to see the bigger financial picture by presenting your savings, investments, transactions and accounts in a neat manner. PocketMoney can also be synced across multiple devices so that families can keep track of each other’s finances. There is a lite version of PocketMoney to try free if you are not convinced you will use it. It is a great budgeting tool you can view while on the go at the reasonable price of only $4.99. PocketMoney is available for iPhone, IPod, ITouch, iPad and Android. 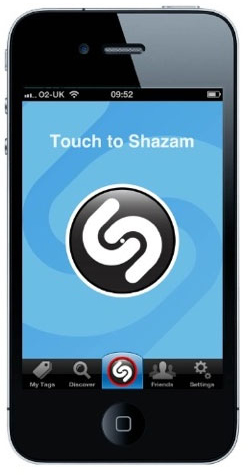 Shazam is a mobile application that helps users to identify what music they are listening to. Many people hate it when they hear a song they like but don’t know what it is called or who it is by. Shazam captures the sound and seeks a match based on the acoustic fingerprint in a database of over 11 million songs. The best part is that Shazam can identify music that is being broadcast from any source including: television, clubs, theatre and radio. It does not simply text the response but displays a screen including information regarding the Artist, Album, Title, Genre, Label, Lyrics and links where to download. Shazam is free for Android, iPhone, Blackberry, Nokia, Windows Phone and most Sony Ericsson phones. Your life is busy, with many different things calling you in many different directions. It can be difficult to stay organized, especially while out and about. Mobile applications can help to assist and organize your life. Mobile applications can assist in finance, cooking, music and fun. Keep in mind that these lifestyle applications are constantly being updated and added to new devices so make sure to check online if they are available for your device.